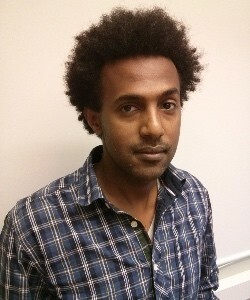 Yabebal Tadesse Fantaye was born and educated in Ethiopia. He did his undergraduate in the department of Physics at Addis Ababa University. He completed his Honours and Masters in the University of Cape Town in the National Astrophysics and Space Science Program (NASSP). He is currently a post-doc at the University of Rome Tor Vergata at the department of Mathematics, working mostly on CMB data analysis from the Planck satellite Planck consortium. He is also currently AIMS ARETE Junior Chair holder.